Do you like being creative or know exactly what you want? If so, play around in our Design Studio and generate your own perfect creation. By utilizing our Design Studio, you can customize a current template to see how it looks in your colors with your name, or you can entirely create your own design! Want to see how a garment looks with your logo, simply upload your logo while in the Design Studio and voilà! 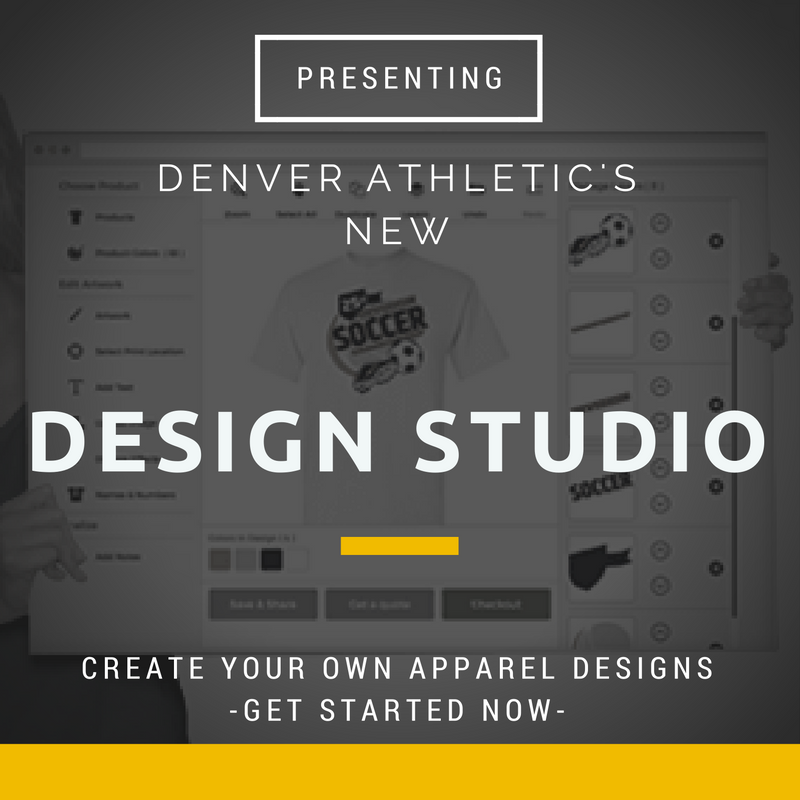 Here at Denver Athletic, you are guaranteed the exceptional customer service and personal attention that you deserve. Whether you play for the Nuggets, want to schedule a Team Night for your squad, or you simply wandered in looking for some new gear we treat all of our customers the same. Each and every member of the Denver Athletic team is dedicated to providing the services and products that help customers achieve their athletic, personal, or corporate goals. We are driven to make every experience with us a fun and memorable one, and we look forward to working with you and bringing your design to life.